There are so many unique and meaningful ways to propose. BUT, hiring a professional photographer to document your proposal should definitely be a part of the plan! Because the moment flies by in an instant, having photos of the proposal is PRICELESS! 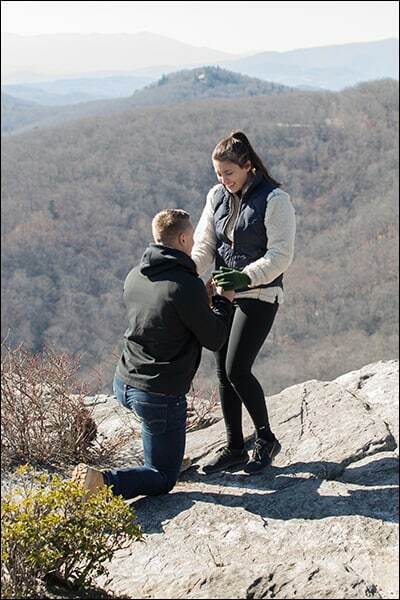 I would love to help you plan the perfect proposal for the two of you, and capture the look on her face when she says YES!!! in timeless photos you can share with generations to come! Includes a 1-hour proposal session, all the high-resolution, fully edited images from the session via download through the online gallery (includes print release). After you propose, we’ll take a few minutes to create some portraits as a newly engaged couple (a little mini-engagement session). These photos are great to share with loved ones (so they can share in the excitement of this moment) and you can use these images to announcement your engagement (or on “save-the-date” cards).